Ryan Williams reminded me of Cadillac Williams in several respects and eerily with what happened last night. Photo by Sienc. This morning a friend of mine on Twitter pointed out my profile of Cardinals RB Ryan Williams in the 2011 Rookie Scouting Portfolio. Please understand that I wasn’t predicting injury or that I’m claiming that I knew all a long that Williams would suffer this fate. I’m sharing this analysis summary published in April because it’s simply too weird of a coincidence that the nature of Williams’ injury was exactly the one I mentioned. And I seriously mean coincidence. I doubt there is any scientific evidence that correlates his running style to the injury he suffered last night versus the Packers. 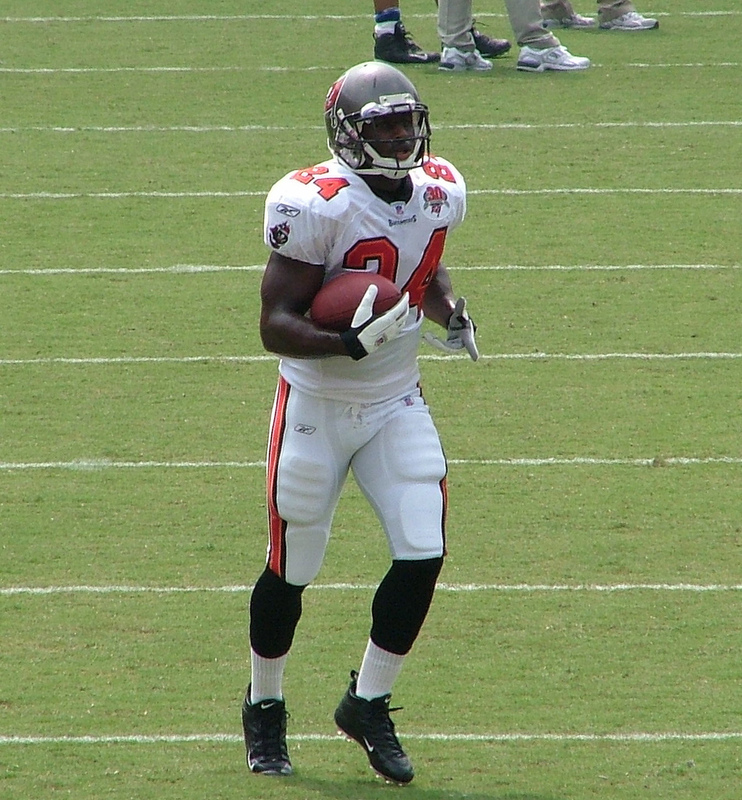 My thoughts go out to Williams, who like Cadillac Williams, I believed had a real chance to shine early in his career. Hopefully the Cardinals’ runner displays a similar perseverance to return to the league as Cadillac. Ryan Williams, Virginia Tech (5-9, 212): Williams is a precocious talent with similar explosiveness and balance in tight spaces as Ingram. Only a sophomore, Williams lacks Ingram’s consistent maturity with his decisions behind the line of scrimmage, but Williams is still wiser at this stage of his development than Jamaal Charles and LeSean McCoy were when they entered the NFL. adjust to the football and secure it while taking the type of shot from a safety or linebacker that’s common when going over the middle in the NFL. Williams admits he needs to learn more protection schemes, but he is already a physical blocker. runner when its time to finish the play. I do have concerns that his hard-cuts and the intensity of his style will be harder on his body and he could suffer a similar fate as Cadillac Williams. But the fact is that no one can predict injury. He has the upside to develop into a star.